I need coffee! Lots of it! 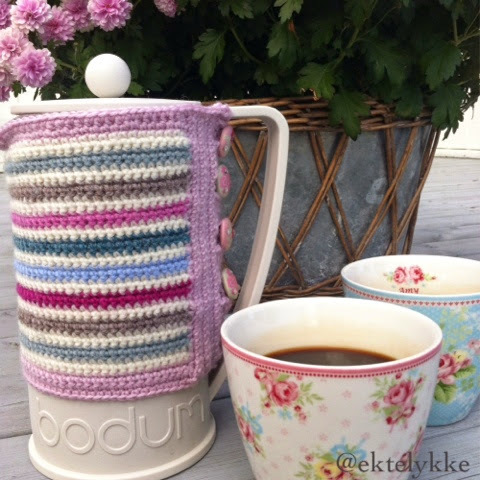 I therefore decided that my beloved French Press coffee pot needed a nice and warm jacket for that autumn chill. I'm in love with stripes at the moment, so I made a simple stripey version of plain single crochet stiches. 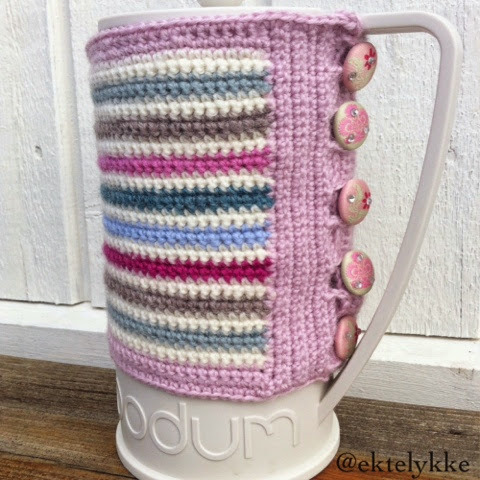 Your new stripy coffee pot cosy is lovely and reminiscent in colour to the pretty heather in the pot above. 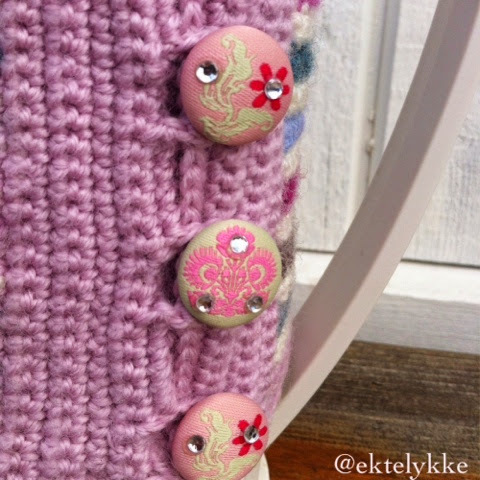 I rather like all those buttons, and they remind me of the fashionable boots that ladies used to wear in olden days and there was a special button hook to do them up with! 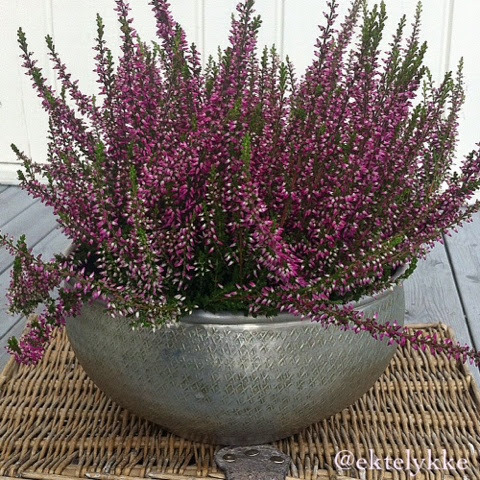 Life's rhythm certainly changes after the relaxed summer months... but we soon get used to the accelerated pace again ... until the next holidays or break! 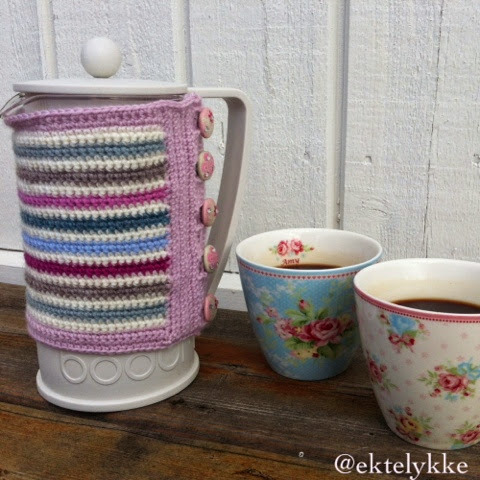 AH yes, coffee and a cute crocheted project with cute buttons. That's a smiling combination!